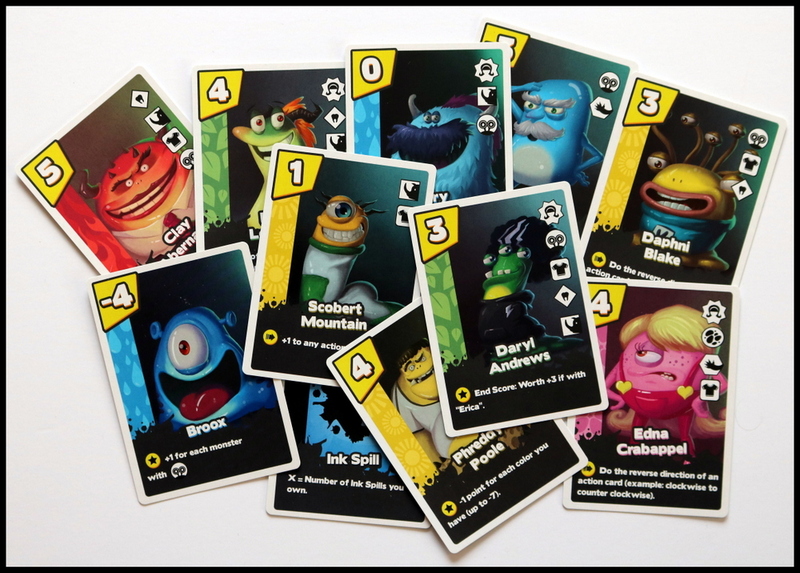 Adorably creepy, bug-eyed monsters fill the deck of cards at the heart of Ink Monsters. 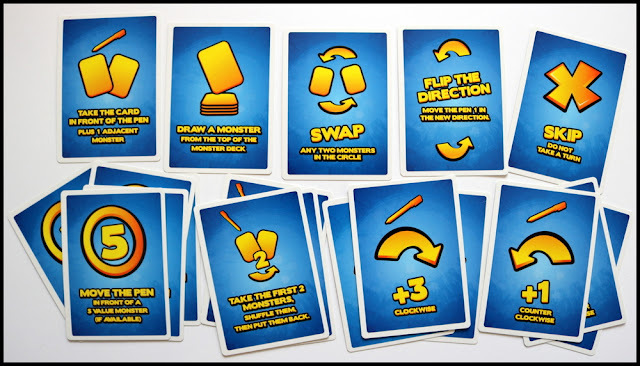 You are taking control of the pen that you'll use to bring the cute monsters to life, avoiding the dreaded ink spills and mistakes along the way by using action cards to control where the pen moves next. Ink Monsters has undeniable charm, but we did have that moment of needing to suspend disbelief to understand the theme! "So, I'm using a pen to draw monsters... that are better than other peoples' monsters?" I'm not sure whether the wildly imaginative theme came from the mind of Daryl Andrews or Erica Bouyouris, or a true amalgamation of both! It's certainly offbeat but the monsters are so engaging that it was easy enough to just run with it. I love the box! Not only is it my favorite shade of blue, but it has a flip-down, magnetic-latch cover to keep your cards truly secure. It's one of those little things that make a game just that little bit nicer to hold, open, and play. 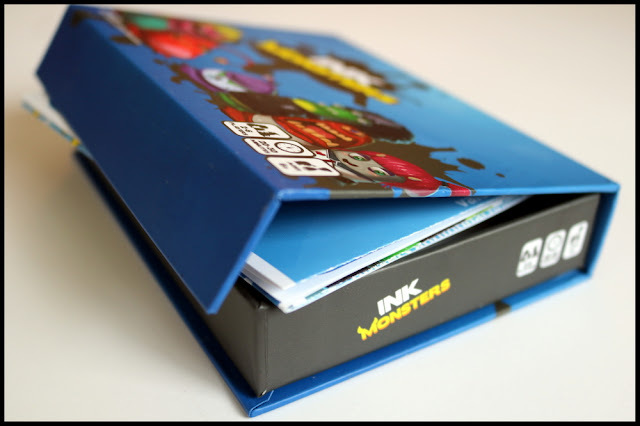 Inside the box for Ink Monsters, you'll find a giant, poster-sized instruction sheet. My daughter loved it - I thought they could have had almost the same effect from half the size and made it a little less unwieldy. However, I absolutely admit that the rules were very easy to read, well illustrated, and well laid out, so maybe the poster was the way to go after all. 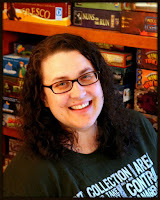 The rules poster in my photo below has two decks of cards on it (purple and blue) and you can see that the example card on the poster is life-sized! 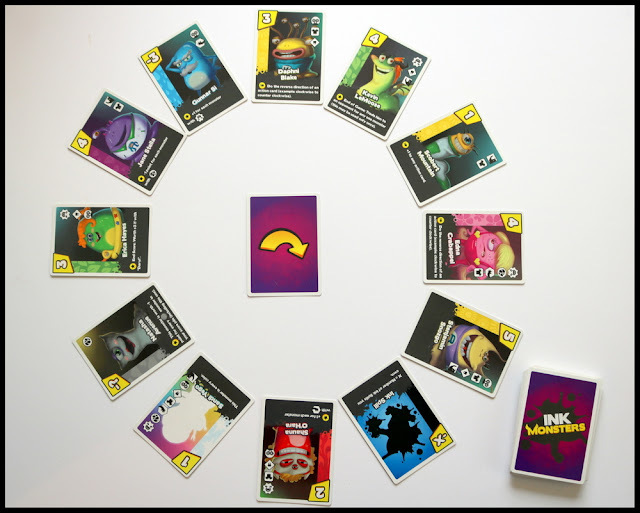 The cards are glossy, bright, and enthusiastically illustrated - each monster has a point value, a color, certain descriptive icons, text describing any special abilities, and a name. Cary Granite, Phreddy Poole, Edna Crabappel, Broox, Scobert Mountain, and even Daryl Andrews make a deck of captivating characters. Setup for Ink Monsters - as described clearly on the front of the poster - is quick and easy. The direction marker card goes in the center of the table with a ring of 12 monster cards around it. The youngest player chooses which monster to put the pen card next to. Each player gets a hand of 3 action cards, and you're ready to play. 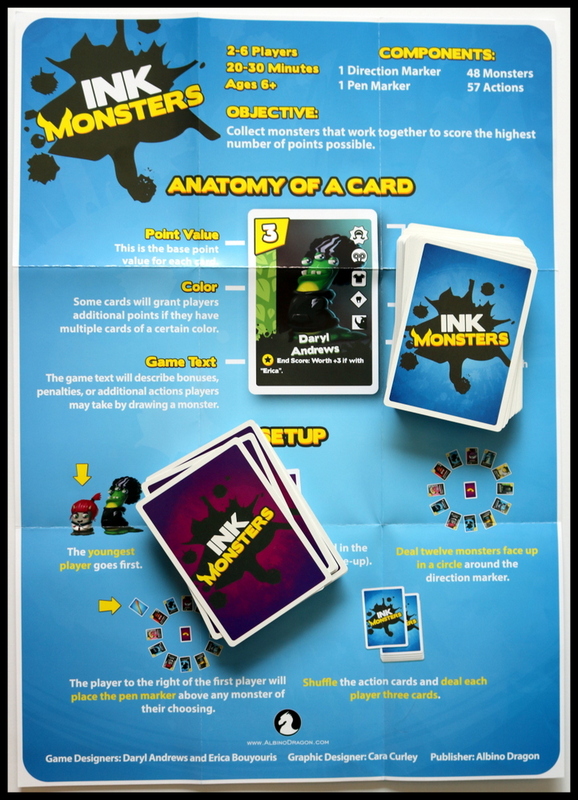 The rules for Ink Monsters - brightly laid out on the top two-thirds of the back of the poster (above a helpful FAQ) - are easy to learn and to teach. On your turn, you can use one action card and any recurring abilities of monsters you've already drawn to move the pen (or the monsters on the table) leading the pen to stop at a monster - which you now draw and put in front of you. 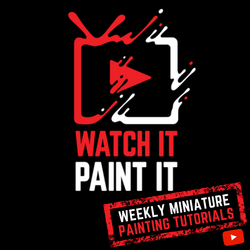 Play continues around the table, with each player using whatever abilities they can to change the position of the pen in order to draw high points, strong ability monsters, and avoid the negative points or negative effects. When all 12 monsters have been taken, a new round is dealt with 12 more monsters. After the end of the third round, the game ends and points are calculated. Remember that some monsters have effects that will give you bonus points for having monsters with certain icons or certain colors. 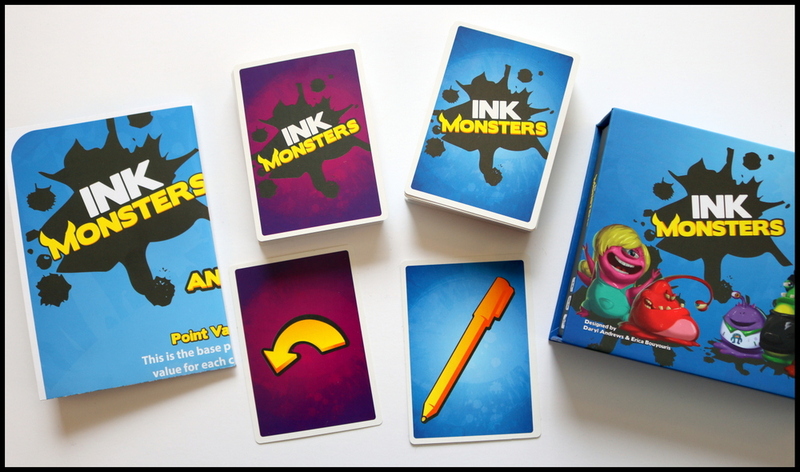 Ink Monsters is simple to learn, but being able to plan strategically to make the most of your action cards and monsters' abilities takes a little deeper familiarity with the game. So, play it again! 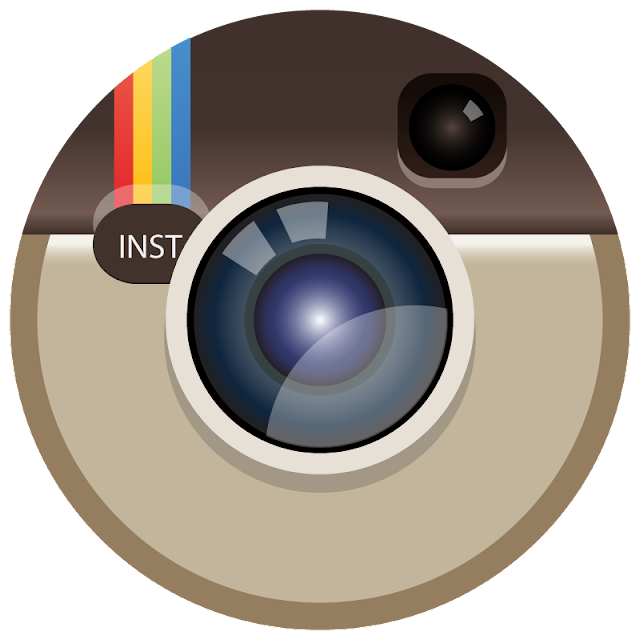 At 20 minutes, you'll have time to play several times or squeeze it between plays of bigger games. 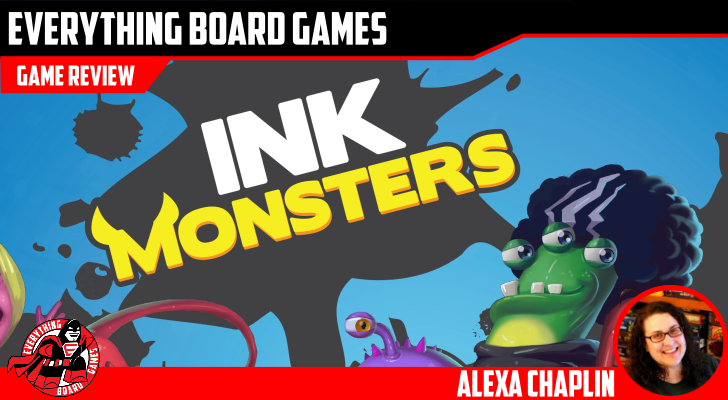 Ink Monsters is a quirky, captivating little family card game that lends itself to deeper strategy the more you get to know it. 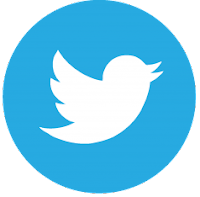 The mix of actions you can take gives you a little leeway, but with only three in hand at a time, you do find yourself having to make the most of what you've got. 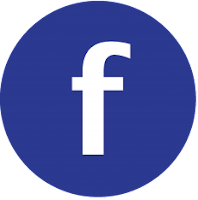 The monster characters are funny and adorable, and it's easy to learn and to teach. Don't think too hard about the theme! The monsters are charming... but the "drawing" theme peters out after you explain that the pointer is a pen. I'm not quite sure how the inky theme translates to a definite goal besides the standard "win by having the most points," but that didn't bother us once we started playing the game. I think I would have also preferred a smaller rulebook/poster just for ease of use, but my daughter was definitely approving of the giant rules! Overall, Ink Monsters was a great experience for our family. We enjoyed all the art and the characters that were poured into the deck of monster cards. The fact that the theme didn't quite cover the mechanics was only a small hiccup for us. 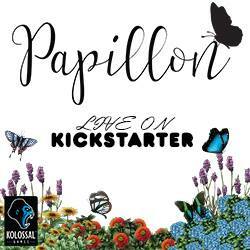 I loved the box and the quality of the components. 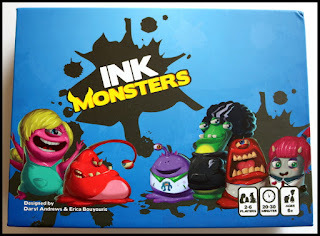 Ink Monsters is a game that will definitely see lots more play from our family. 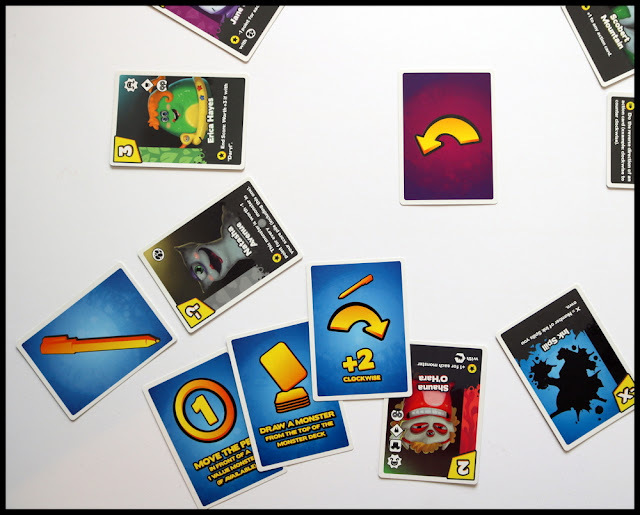 If you're a fan of Guillotine, as I am, then Ink Monsters will be a hit for you - it is similar, but the round layout instead of straight and the different types of action cards, as well as greater interaction with monster abilities, makes it different enough to enjoy playing both. 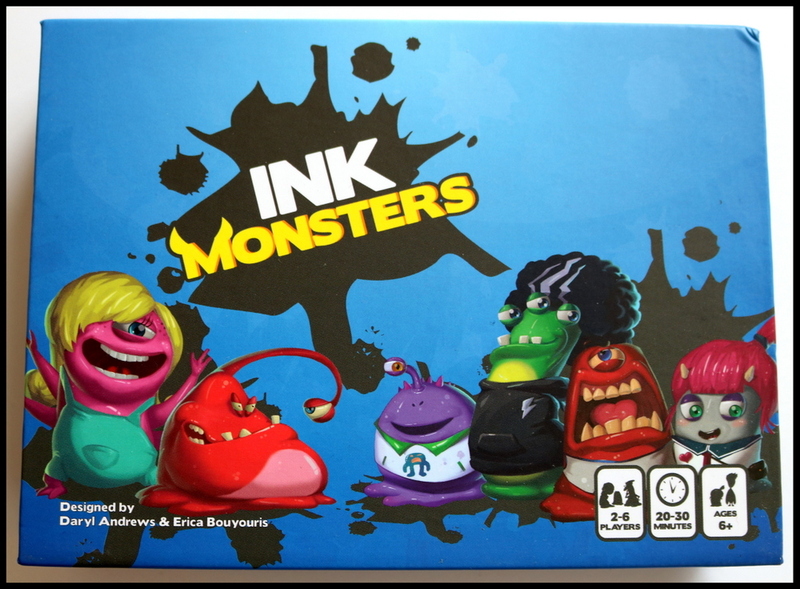 Families who like odd characters like in the movie Monsters Inc. or games like Alienation or Kodama will like Ink Monsters, too.